When people meet you, the first thing they notice is your face. Often times, having an embarrassing facial feature can destroy self confidence, leading to the avoidance of certain social situations or even the fear of meeting new people. Having an excessively full chin or sagging neck skin can skew the look of your entire face, making you appear older or heavier than you really are. Conversely, a defined neckline will give you a huge boost in confidence, while helping you look both thinner and years younger. After this surgery, the neck skin will no longer hang down, but instead will contour closely to the face, giving you a defined jawline and beautifully framed face. WHO IS THE NECK LIFT CANDIDATE? Minimize or completely eradicate “turkey neck” or "second chin" by removing sagging skin and tightening underlying loose muscles. Smooth creases and wrinkles throughout the neck. Improve or even eliminate vertical neck bands. 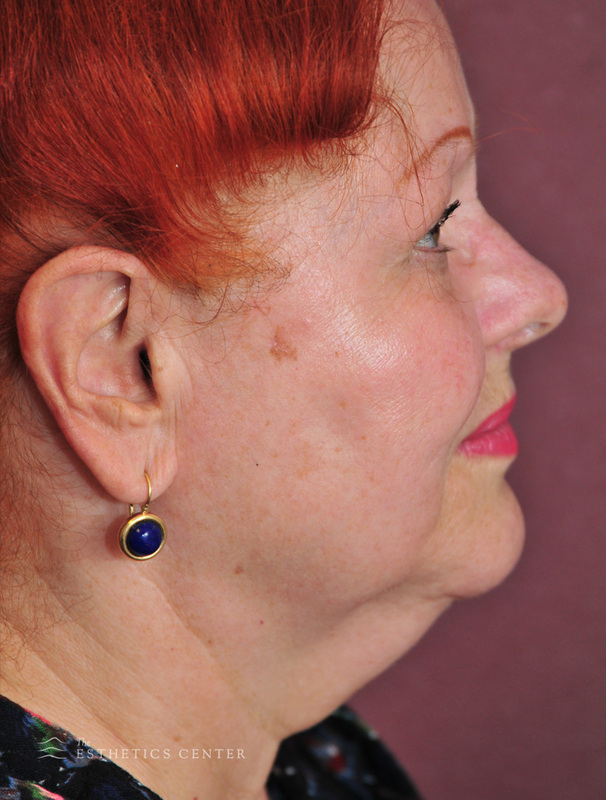 Depending upon the individual concern of our patient, neck contour patients may have only liposuction of under-chin-fullness, or may undergo more extensive liposuction, combined with muscle tightening and removal of skin. The decision to perform only liposuction is dependent upon the degree of skin elasticity that the patient has, as the skin must be able to smoothly conform following the surgery. The neck lift procedure typically takes two hours, and the surgery is performed in our surgical suite. We will likely use twilight anesthesia to ensure maximum comfort, but neck lifts can be done with only local anesthesia and a little, by mouth, anti-anxiety medication. Dr. Rice plans and marks all of his neck lift patients before surgery, when they are sitting up and can move their chin and neck muscles. Since sedation can affect neck muscles, this common sense approach will ensure that the most accurate surgical plan is in place before the procedure begins. Depending on the individual's needs, the approach to the neck tailoring will begin from beneath the chin, or from behind the ears and beneath the chin. Through these approaches we remove excess fat via liposuction, tighten loose neck muscles causing banding, and tighten any excess skin. Incisions are closed with dissolvable sutures and a supportive dressing is put in place. After your neck lift, you can expect a recovery period of approximately 1-2 weeks. The first few days will primarily be spent resting, with minimal movement. We recommend avoiding all strenuous activity such as heavy house work, or vigorous sports, for the first 3-4 weeks. As with any surgery, there can be significant bruising and swelling—these are to be expected and will completely resolve as healing progresses. Like a facelift, a neck lift will offer a well-defined, smoother neck with long-lasting results. Typically, patients feel the results are good for between 7 and 10 years. As the aging process continues, with some return of skin laxity or age-related weight gain, a revision may be necessary. However, studies have shown that some degree of the improvement will remain permanent, meaning face and neck lift patients will permanently look better after having the lift done.